Are you on the lookout for dust collection systems which can perform just the way you expect them to? Choosing a high-quality filter bag can make all the right difference. This is because; it is the bag which does the actual filtering and not the vessel. Wondering about the ways to choose the best dust collection system? Check out our step-by-step guide below! A filter bag is made from superior quality felts and woven fabrics which are sewed carefully to meet the specific requirements and dimensional standards of several key industries. These sophisticated dust collection products can easily capture high-value dust like titanium, gold and silver. 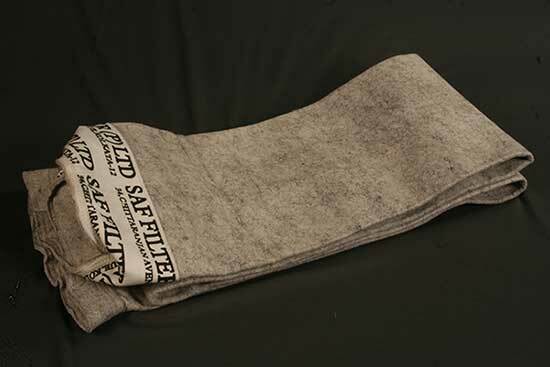 And, when you work with reliable filter bags manufacturers, you can be assured of having products which stand the test of time. Below is our handy guide to help you choose the best filter bag as per your needs! Chemistry- Does your product have the ability to endure the dust particles’ chemical makeup? Temperature- Do you need quality filter bags which have the ability to withstand high temperature? Correct measurements can lead you to the best fit. There are chances that, over the years, your dust collector has been modified due to change in your processes or permitting issues. In such cases, OEM configurations will not suit. Obtaining accurate measurements for your filters before choosing replacement dust collector systems is thus important. If you have filtration bags installed which are functioning properly, remove one of your bags to get the accurate measurements. When it comes to choosing filter cages, the top and bottom construction of these bags involve a range of possible configurations. Identifying the kind of cleaning process used by the dust collector will help in determining the configuration which is needed. Some of the most common types of filter bag cages are- Pulse Jet type, Reverse Air and Shakers. Now that you are aware of everything, what are you still thinking of? It’s time to get high-quality filter bag cages!